MIPS: The unbelievable start of incentive of 2019 and future…. I first reviewed the incentive data of 2017 MIPS released from CMS and think that something funny was going on. We had just checked the provider’s 2017 final MIPS score and it was a high one, 87+% and lowest is about 64%. That is a score to be proud of. However, they would only be seeing a positive 1.93 to 0.15% payment adjustment in 2019. 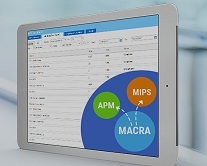 One would think a MIPS score that high score would bring a higher Medicare Part B reimbursement incentive. What is going on here? Θ However, the program relies in part on meaningful participation in the program and the current regulations have reduced the payment incentives by excluding many providers from participation. Θ For example, high performers are estimated to receive an aggregates payment adjustment in 2019 of 1.1 percent – based on their 2017 performance – even though adjustments of up to 4 percent are authorized. The trend of continued actual adjustments that are significantly less than authorized fails to incentivize meaningful participation in MIPS. In 2020, for example, CMS is projecting a 1.5 percent payment adjustment for high-performers, compared to a potential 5 percent adjustment level authorized under the law. Θ Based on feedback received from provider groups, we are concerned that the low-volume thresholds are too high and effectively preclude providers from earing more that that a nominal payment adjustment. Θ We also hope CMS can incentivize more significantly and meaningful participation in MIPS by adjusting low-volume thresholds adequately. Θ So, there you have it. CMS estimates that for the 2018 performance year about 60% of otherwise MIPS eligible clinicians are excluded based on low thresholds. Those low bars were heralded when they were announced but now we are seeing the other side of the coin. Tinkering with the distribution curve by excluding those on the low end is having consequences to the high end that are just now being realized. We can expect to hear more and more about this in the coming months. I would not be surprised to see regulations and rule-making focused on this issue sooner rather than later.